The activities in this course are an outgrowth of FPSPI. 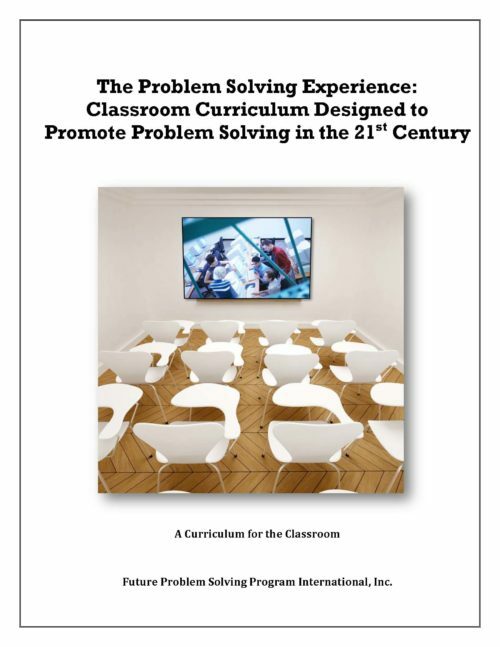 Activities provide direct instruction that introduce students to the Creative Problem Solving process and provide practice through the application of problem solving in a variety of contexts. The course may be implemented as a full semester course or spread across 1-4 years. Possibilities also are available to Cross Curricular implementation. Instructional Resource Materials for implementation of the curriculum are included on an accompanying CD. 2011 Edition.